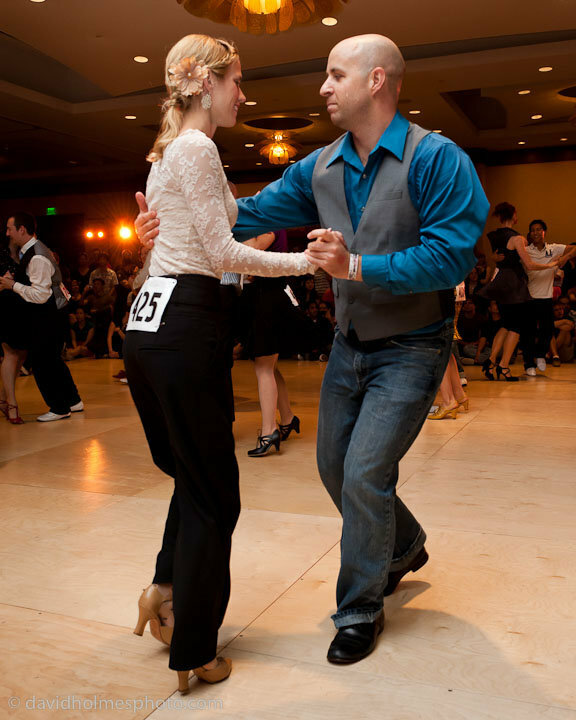 Jason began swing dancing in 2002 just after graduating from NC State and has been hooked on dancing ever since. Jason travels regularly, learning from as many inspiring dancers as he can and competing frequently. As a Certified Rolfer, he has a strong interest in body mechanics and expressive movement. Jason owns, operates, and is the primary dance instructor at The Lindy Lab, a dance studio offering classes and weekly dancing in the Raleigh/Durham RTP area. In all his dancing, Jason strives to bring this sort of authenticity to the floor and to his partner. As an instructor, Jason is most concerned with unleashing students’ potential. Understanding that everyone has different goals in dancing, he aims to teach in a way that helps new dancers develop a style fitting their body and personality rather than copying a style. Jason emphasizes a balance of fun and hard work in both his dancing and teaching, believing that the better you get, the more interesting and fun options open up in your dancing.